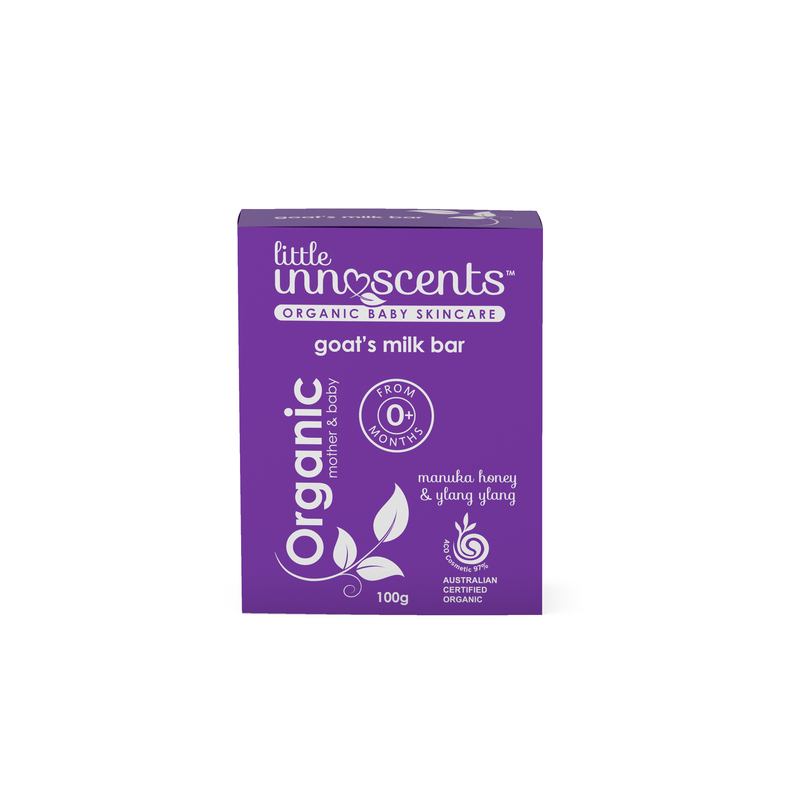 No more dry skin with the Little Innoscents Organic Goat's Milk Soap Bar! Designed especially for delicate and sensitive skin, the new addition to the range is a 100% natural cleansing bar, made from the goodness of Goat Milk and Manuka Honey in an Australian Certified Organic soap base. Goats milk is rich in proteins, vitamins, and minerals, allowing it to heal a wide range of skin conditions like eczema, psoriasis, and rashes like nappy rash. With the added goodness of Manuka Honey which is a medicinal type of honey that is anti-bacterial, anti-fungal and anti-viral. Finished off with a gorgeous heavenly scent, achieved by Ylang Ylang Oil. It’s perfect for your baby and therapeutic for those suffering from Dermatitis, Psoriasis, Eczema and dryness. Specially formulated for delicate skin and to help those suffering dryness, inflammation, or eczema. Organic Sodium Palmate*, Organic Sodium Palm Kernel*, Aqua (Purified Water), Glycerin*, Sodium Chloride, Ylang Ylang Oil (Cananga Odorata), Goat's Milk, Shea Butter (Butyrospermum Parkii)*, Honey (Mel)*, Citric Acid.